Are you looking for an online tool to help you with organization and productivity? Evernote was created to be an online note-taking tool, but, honestly it is so much more. This software is used online through the cloud. Evernote is designed for creating, organizing and storing different types of media. Evernote is useful in your personal and professional life, like a personal assistant. Evernote allows you to create notebooks based on whatever you would like. These notebooks are categorized into Stacks. In those Stacks, you create Notebooks and in those Notebooks, you can create separate Notes. Notes in Evernote are like pieces of paper. You can access Evernote online or download Evernote for your specific computer or device. An interesting feature of Evernote is the ability to “Work Chat.” Evernote allows it’s users to search for people to chat with and to share their work with. I can see this being especially useful during group work. Whether the group work is for a project in class or for a project at work. “Shortcuts” allow you the ability to save your favorite parts of your notebook to “Shortcuts” to see them faster later. This will be beneficial to help you find things you especially wanted to remember, like an upcoming project that’s due. The ability to tag your work helps you group your notes by tagging them. Just by clicking “New Tag” in a note, you will be able to add a way to find and group your note, like tagging them with a project name. Evernote serves as a great way to clip content from the Web. Evernote has a clipping tool that can run as a browser plug-in. Preston Gralla from Computerworld believes that the best browser for Evernote to run as a plug-in is Google Chrome. An amazing feature of Evernote is that you can sync it onto all your devices for automatic updates on changes in real time. Put Evernote on your computer, phone and any other devices you have to utilize, the more the better. I know personally that once I get a good idea, I need to write it down right away before I forget. So, the more widespread across your devices Evernote is, the more you will get out of this service. OneNote is a note-taking tool powered by Microsoft. OneNote is categorized into Notebooks, which are broken up into Sections, which are further broken up into Pages. This form is like Evernote’s Stack, Notebook, Note organization. Evernote and OneNote are note-taking tools that many people utilize. Both options have a majority of the same features like gathering information, sharing information, mobile abilities, and both are paper-less. Personally after diving deeper into both note-taking tools, I like both OneNote and Evernote equally. I stumbled upon OneNote on accident because it was already installed onto my Windows Desktop. As for Evernote, I discovered it when I was comparing OneNote to other note-taking tools. In the future, I will be using Evernote for researching and OneNote for my schoolwork as mentioned in my previous article, OneNote Review: A Remarkable Purple Icon to Breakthrough Organization. Sold on Evernote? 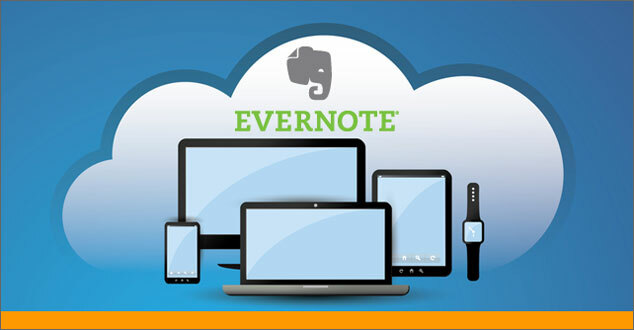 Which Evernote Package Best Fits Your Needs? Evernote Basic allows you to utilize the web clipping capabilities of Evernote, “Work Chat” which allows you to discuss and share, and the ability to sync across all different devices including phones and computers. Evernote Basic offers all these abilities with no cost. Evernote Plus gives you more room for your notes, 16GB per month compared to 60MB per month given in the Evernote Basic package. Plus allows it’s users to access their notes offline, when the Internet connection happens to be down. Also, you can add a passcode lock on mobile devices in Evernote Plus. With the ability to save emails, Evernote Plus also includes all the features of Evernote Basic for $24.99 per year. Evernote Premium gives you all the features of Basic and Plus combined and adds some more features. Premium grants its users unlimited uploads and the ability to search in Office documents and attachments. In addition, Premium allows you to not worry about making slides for a presentation, Evernote Premium allows you to turn your notes into a presentation. If you attach a PDF document, Premium allows you to annotate the attached PDF. There is no need to be worried about losing all those business cards as Premium allows you to digitize all your business cards right in Evernote. Premium makes taking notes easy by allowing you to see the progress of your notes by viewing previous versions and seeing content related to your notes. All of these features are included for $49.99 year. Evernote Business is great for all businesses out there from small to large. Evernote Business gives its users access to all the Premium benefits while creating a great place to get work done with having a team workspace, in-app discussions, and the ability for knowledge discovery. If you are the owner of the business or the creator of Evernote Business for your company, you will be given an admin console to help with all the administration duties. Evernote Business is available to businesses for $12 per user per month. For more about Evernote’s different packages, please see Evernote Packages Pricing. Determine which package of Evernote best fits your life and your needs by utilizing the information above. Visit www.evernote.com to sign up today. Do you use Evernote? If you have, how do you like it? I would love to hear from you in the comments section below. 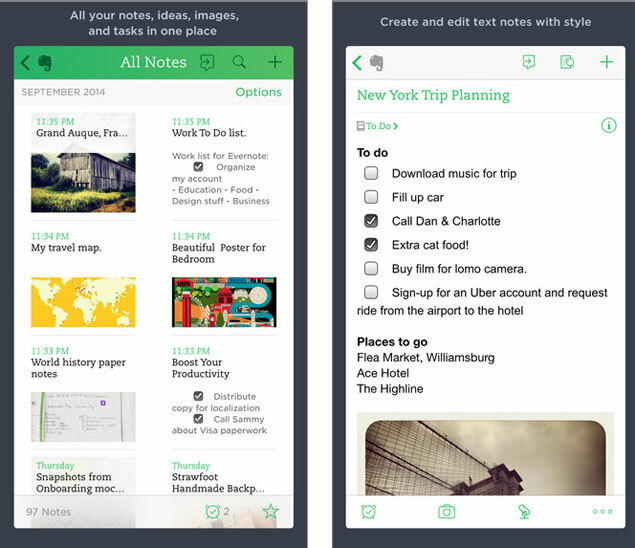 If you haven’t tried it, do you think Evernote would be useful for you in your daily life? I am not being or is R & R Web Design LLC compensated for this product review about Evernote. In addition, I am not, nor is R & R Web Design LLC, an affiliate in any form. Chloe Zeabari is a summer intern and writer for R & R Web Design LLC. Currently, she is a student attending Oakland University. She is passionate about sharing ideas through writing to help others. She is able to bring her young knowledge to the table to provide others with new insight.